Our last blog talked about permitting and location considerations. 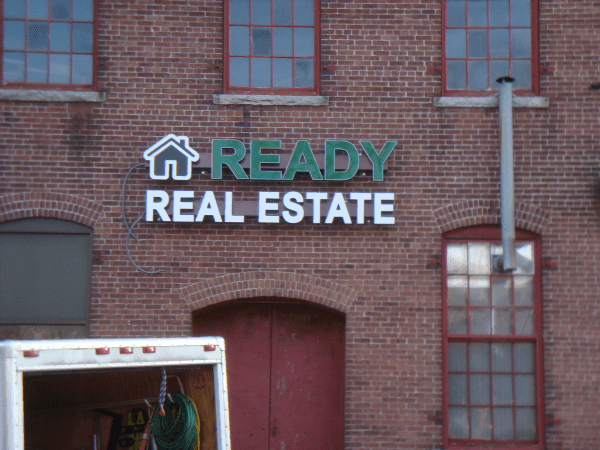 In this article we will look at determining the idea size for your exterior sign as it is a very important feature of your sign. “29% were drawn to a store with which they were not familiar based on the quality of their signage. This study clearly showed what we’ve been telling customers all along. Your on-premises signs have a great impact on your sales and even higher impact for those types of business that are considered to have a product that is an “impulse purchase”. Your storefront signs or exterior signs tell the consumer a lot about your business. Even in the B2B corporate world, how you present your business makes a difference in how customers see your company and value your products. You would not have an unclean, unkept, or too small salon, store or shop, but yet many business choose signs that are unattractive, unreadable, or practically invisible. Furthermore, as time goes on, many businesses let their signs go unattended until they are peeling, unreadable and down right ugly. How Do You Make a Sign That is Readable and Effective? Height and distance that your sign will be read from. Is it at eye level, 30′ up on a building, on a tall pylon? Traffic Speed. Is the traffic reading your sign while traveling 20, 30, 50 miles per hour? Speed is a big factor in the readibility of your sign. The faster the traffic, the larger the message needs to be so that it is readable from an ideal distance. Visiblity from different angles. If your sign is flat on the wall of your store or building, at what point does it come into view for the driver? Before your store? As you are passing by? After you’ve passed the store? Ideally your signage should be visible to oncoming traffic before they pass so that impulse buyers can have the opportunity to visit without turning around. Where is your sign in relation to the entrance to your parking area? Before or after the turn? Again, this is a factor to use when determining the ideal sign letter size. All of these calculations and information gathering help to determine the proper sign letter size for readability. Of course, in many instances, you are limited in size by town or city Sign Ordances or Sign Bylaws, but you should take full advantage of your sign allowances to give your business the best chance of success. There are many things to consider when determining if the size of your lettering is large enough to be readable by those driving by your location. 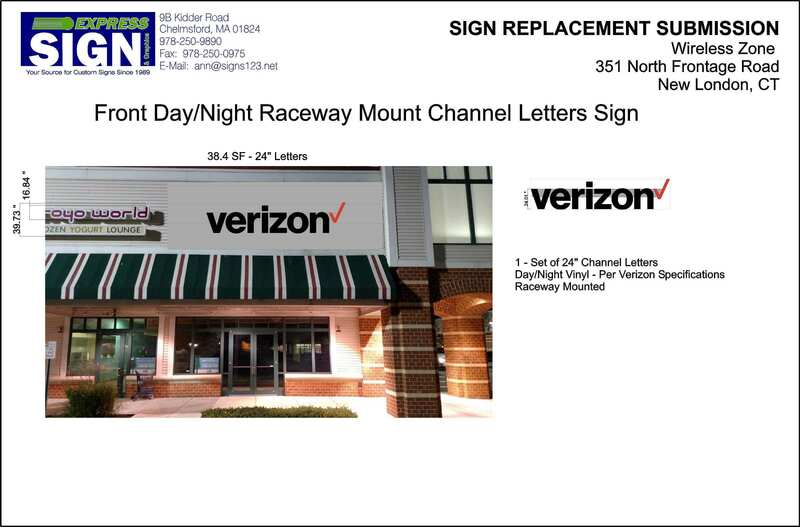 There are standardize formulas and letter height charts that most sign companies use. These are helpful as a starting point. An imposed drawing from the viewer’s visual range is an even better way to see how readable your sign would be. Express Sign & Graphics can provide you with detailed analysis of your sign options. We will come to your site, measure, take photos, and review sign location options with you. We will then provide mockups showing your signs imposed on your building from various views so that you can see it’s visibility before you make your decision. Remember, your sign is your best marketing investment. It works for you 24/7/365 as a tool to keep your business in your potential customers mind. Investing in a quality sign that is legible and bright is your best bet. Many of our customers appreciate the extra steps we take to ensure that their sign will be readable. Next week we will take a look at color and it’s impact on the legibility of your signs. If you have any questions or a sign project you would like us to quote for you, please call us at 978-250-9890, we will be happy to help you.